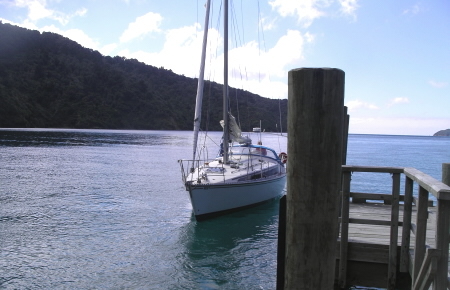 This 39ft Marlborough Sounds bareboat sailing yacht is a sturdy, beamy and comfortable for cruising in all sorts of weather. 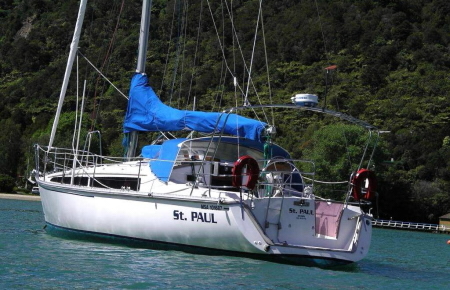 She is well equipped and has 3 cabins. 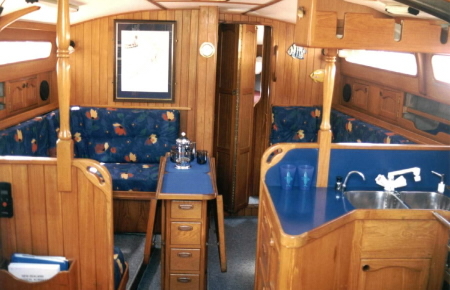 The galley is located aft in the saloon. 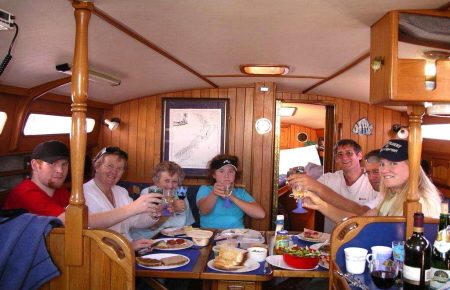 The Raven 39 can comfortably accommodate 6 guests in 3 private double cabins. Another single berth can be utlised in the salon if necessary. There are two electric heads. 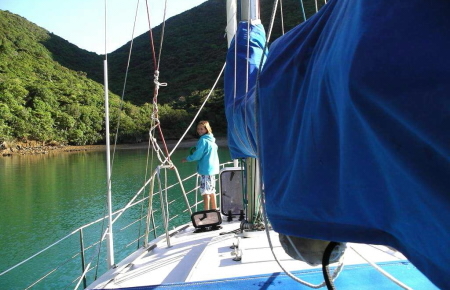 The Raven 39 has slab reefing and mainsail with lazyjacks. The genoa is furling. 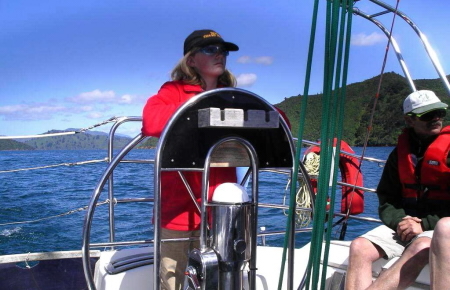 The Raven 39 is equipped with full safety and navigational equipment including wind, speed and depth instruments and GPS. There is an electric windlass. 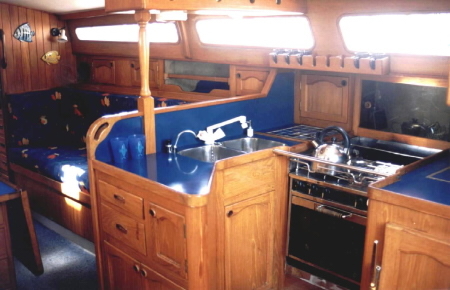 The galley is fully equipped with fridge, oven and grill.